WTF Jeff Sessions: When Do You Open Investigations on Democrats? How do we win as big as we did, and still find ourselves waiting on justice? While the election of Donald Trump illuminated much about the scumbag Democrats, most Conservatives still await results. Put another way: we want Democrats in prison. They certainly deserve it. So people want to know how much evidence does Jeff Sessions, et al need in order to get the spotlight shining on the cockroaches. What could the Department of Justice possibly be afraid of? No matter how many bullsh*t indictments come from Special Prosecutor Robert Mueller, none will involve the Trump team. Moreover, Mueller fools no one. These indictments are symbolic at best. In truth, the indictments are subterfuge for Mueller’s lack of a real investigation. Thus, he merely prolongs the execution of Democrats, because their justice comes soon. Rank and file Democrats know that lots of buzzards circle the Democrats’ dying carcasses. Former FBI Director James Comey has mysteriously stopped tweeting. I’m betting that was on “advice of counsel”. While Barack Obama tweeted on the Parkland shooting, he knows to keep his mouth shut on issues for which he will likely find uncomfortable soon. Theories abound that the only reason nobody has been indicted on the Left is due to the sh*tstorm sure to follow. As most Americans know, it will only take ONE of these Democrat crooks to fall for the rest of the dominoes to follow. Also, though I fear for the safety of that first Democrat, there are simply too many for the Clintons to kill them all without raising a few eyebrows. Sessions needs to do his damn job, and start the process of convicting these people. Our job is to make this the narrative, and shift the focus from “gun control” which currently absorbs all the media oxygen. Criminal Democrat control is what America needs, and I am being redundant calling Democrats criminals. Good question! He has so many choices. Personally, I’d start with disgraced former FBI Director James Comey, interestingly silent these days. Comey lawyered up early, so he has plenty to hide. And frankly, we don’t need more information on Comey the Clown as he has lied repeatedly in testimony to various Congressional committees. From this vantage point, Comey is a slam-dunk. And what of McCabe? He took bribes from the Clintons, and ran interference for the Clintons on multiple occasions. Next, we have the FBI lovers, Peter Strzok and Lisa Page. At the very least we need to dock their pay, since they worked harder on their affair, than they did for the FBI. Then we get them for their work on behalf of the Clintons. While Mueller indicts obscure Russians, why hasn’t he indicted Steele, the originator of this farce. His indictment would lead to an indictment of the entirety of Fusion GPS. Those indictments would lead to indictments of many in the press, and their indictments would lead to Hillary Clinton, et al, including the Podesta brothers. Finally, and predictably Obama would fall. Regardless of where Sessions begins, I know where he will end: Obama. So get this party started. 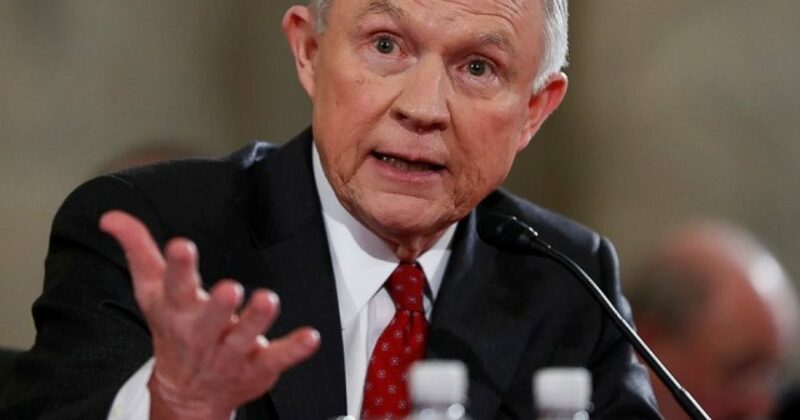 Let’s tell Session, “Do you job, you moron!” Because that first indictment ends the Democrats, and all of them know it.